Dr. Lean achieved a Bachelor of Applied Science (BASc) in Chemical Engineering from the University of Toronto in 1962 and a Ph.D in Zoology from the University of Toronto in 1973. He is currently working on human health related to mercury exposure in Costa Rica and Cambodia. Dr. Lean was a full professor at University of Ottawa from 1996 to 2009 where he held an NSERC Industrial Chair in Ecotoxicology and was Director of the Joint Ecotoxicology Program at University of Ottawa and Carleton University. He now runs his consulting firm, Lean Environmental. Prior to 1996, he spent 24 years as a scientist and project leader at Environment Canada’s National Water Research Institute in Burlington, Ontario, Canada. In 1993, Dr. 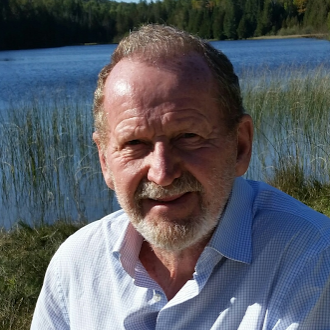 Lean received the Chandler-Misener Award for excellence in Great Lakes research; in 2003 the Frank Rigler Award for outstanding freshwater research and the Miroslaw Romanowski Medal given by the Royal Society of Canada for his research in environmental toxicology. The current focus of his work is on mercury sources and its role as a toxic chemical in aquatic ecosystems and includes the role of UV radiation, nutrients, pesticides, drugs and other toxic chemicals in natural ecosystems. The IEAC office in Happy Valley-Goose Bay is now closed. For inquiries related to the work of the IEAC, please contact the member of the IEAC Oversight Committee that best represents your constituency. Thank you.